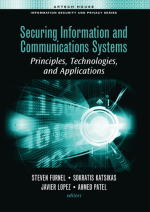 This chapter introduces the principles of user authentication technology. It begins by examining the need for reliable identification and authentication of users, and introducing the three primary foundations of authentication techniques (i.e. something the user knows, has or is). Subsequent sections expand upon each of these approaches, with attention to passwords and alternative secret-knowledge approaches, passive and active token methods, and physiological and behavioral biometric techniques. Each section considers underlying principles, specific methods, and potential attacks. The chapter also examines operational considerations, with discussion of the factors that affect the selection of one authentication technique over another.